E30: What Should You Test? When should you write a test? 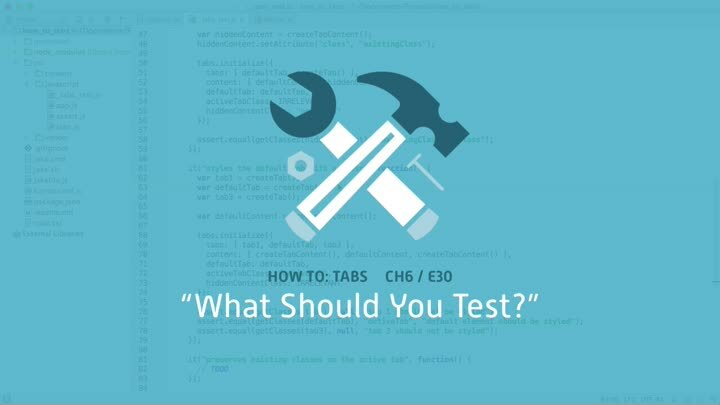 The rule of thumb is “test everything that could possibly break.” But what does that mean? In this episode, we explore the question, using our tab-highlighting logic as an example. Once that’s done, we find more ways to improve our production code.